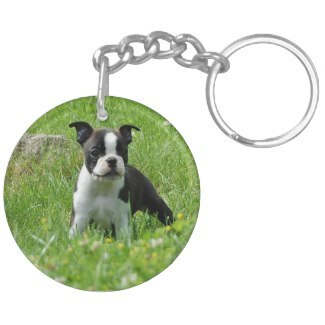 Boston Terrier Dog Keychains are wonderful Boston Terrier Dog gifts. 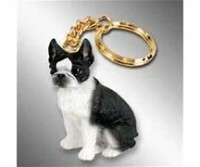 Handy Boston Terrier Dog Keychains make fine Boston Terrier Gifts for the Boston Terrier dog lover. 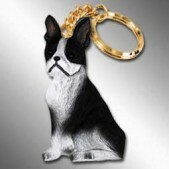 These dog keychains are made of resin or pewter. 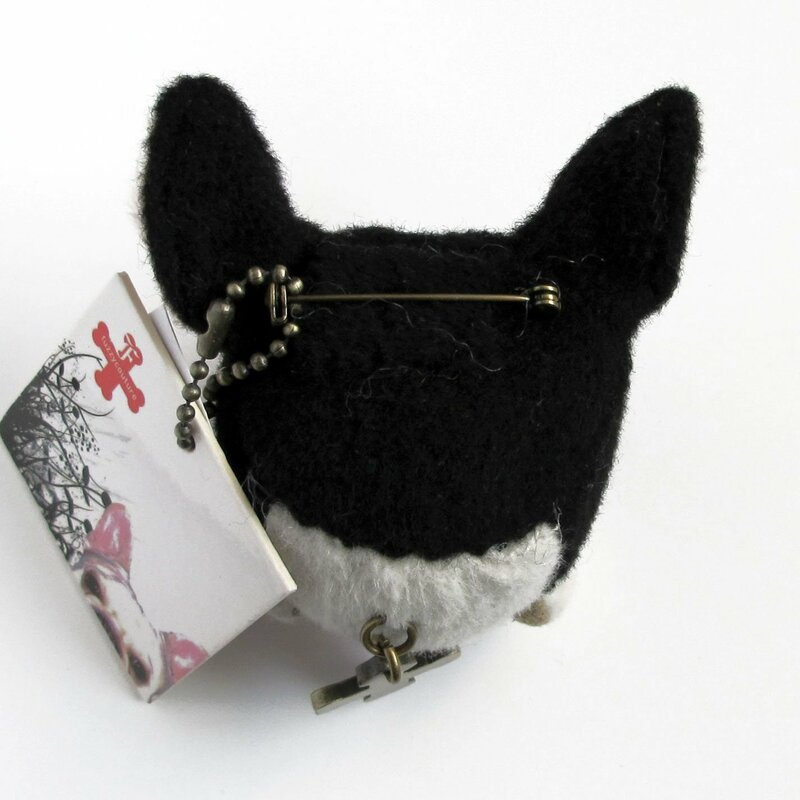 We also have a lovely zipper charm the Boston Terrier lover will adore! 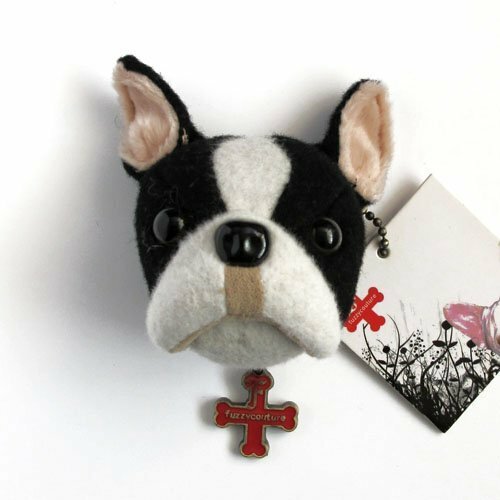 The Boston Terrier Dog with Pink Flower Keychain is an elegant silver-colored 2" x 2" square keychain that you can carry with you everywhere you go. Depth: .19 inches The waterproof, UV coating means your images will look like new for years. Full-color, full-bleed printing. Silver Colored Metal Charm & Ring. Us UV Resistant and Waterproof. Great gifts for all your family and friends. This adorable Boston Terrier Puppy Paw Silver Keychain is an elegant silver-colored round keychain with a cut Boston Terrier Puppy named Harrison who presents you his paw. Take it with you everywhere you go. The waterproof, UV coating means your images will look like new for years. Full-color, full-bleed printing. Silver Colored Metal Charm & Ring,UV Resistant and Waterproof. Diameter: 2.125 inches. Depth: .19 inches. 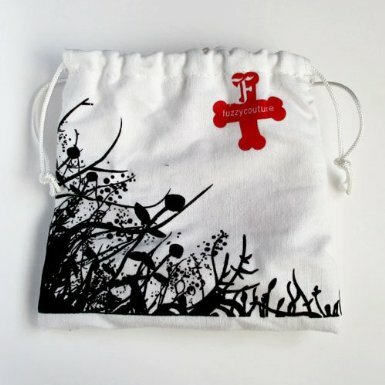 Great gifts for all your family and friends.